A rising star of the late-1950s London art scene looks to recover her lost muse and finds herself in a secretive refuge for similarly frustrated creative types. At the Portmantle artists’ retreat on an island off the coast of Istanbul, painter Elspeth Conroy and three friends—novelist, playwright, architect—greet the latest arrival, 17-year-old Fullerton. To these veterans of the refuge, the annoying young man is smart, dismissive, and evasive, not even revealing his craft. He also suffers from terrible spells, but before his fate is revealed, this zigzagging story flashes back to Elspeth’s apprenticeship and breakthrough and rapid disenchantment with her work, tied to a mural for a planetary observatory in which the ecliptic concept stymies her design. The death of her favorite teacher brings what seems like a chance reunion with her first mentor, who believes the cure for her artistic paralysis lies at Portmantle. The novel moves back to the Turkish island, where Elspeth doesn’t like the way Fullerton is treated, falls afoul of the retreat’s provost, and embarks on a dangerous flight from the island. Or does she? Wood (The Bellwether Revivals, 2012) could thrill or anger readers with his final dose of narrative whiplash. Along the way, his look at the art market is deft but limited and unsurprising. He does have strong passages where he suggests the vital, elusive nature of artistic inspiration—and how a real artist knows when she is working with less. 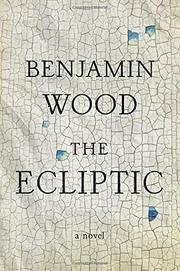 Wood leaves ambiguous the source for what may be Elspeth’s most important work. Or does he? An almost empty bottle of the antidepressive Tofranil complicates matters. The British novelist makes his aesthetic interests more palatable for a general reader with some intrigue and structural tricks and a kick-in-the-head kicker that would galvanize book clubs.